Pakistan Today – Travis Head will lead the one-day team, while Mitchell Marsh has been named the captain of the four-day team, when Australia A tour India for a triangular one-day series, also involving South Africa A, and a series of two four-day matches against India A.
Travis Head will lead the one-day team, while Mitchell Marsh has been named the captain of the four-day team, when Australia A tour India for a triangular one-day series, also involving South Africa A, and a series of two four-day matches against India A. 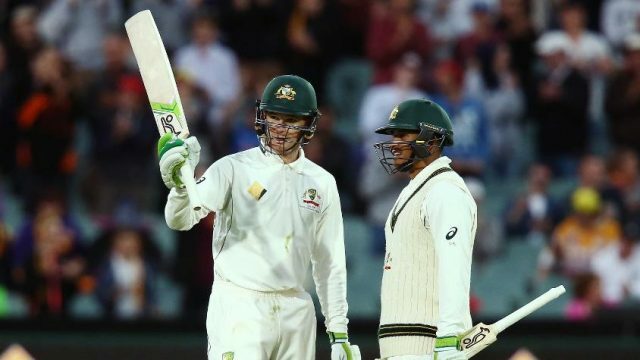 The squads – Alex Carey is the vice-captain and first-choice wicket-keeper in both – have a fair sprinkling of Australia internationals and, apart from Carey and Head, Ashton Agar, Peter Handscomb, Usman Khawaja, Michael Neser, Matt Renshaw, Mitchell Swepson and Chris Tremain feature in both line-ups. Just six of the players across the two sides have never played international cricket: Marnus Labuschagne, Jack Wildermuth, Brendan Doggett, Swepson, Kurtis Patterson and Neser, who earned a maiden national call-up on Tuesday as Josh Hazlewood’s replacement for the limited-overs tour of England. On the leadership group for the tour, a point of interest keeping in mind events in Australian cricket since the events in Cape Town earlier this year, Hohns said, “We’re looking for leaders for future Australian teams, and Travis, Mitch and Alex are all very impressive young men. One-day squad: Travis Head (c), Alex Carey, Ashton Agar, Peter Handscomb, Usman Khawaja, Marnus Labuschagne, Michael Neser, Matt Renshaw, Jhye Richardson, D’Arcy Short, Billy Stanlake, Mitchell Swepson, Chris Tremain, Jack WildermuthFour-day squad: Mitchell Marsh (c), Alex Carey, Ashton Agar, Brendan Doggett, Peter Handscomb, Travis Head, Jon Holland, Usman Khawaja, Michael Neser, Joel Paris, Kurtis Patterson, Matt Renshaw, Mitchell Swepson, Chris Tremain.